Market to your niche: technical groups at numerous companies. 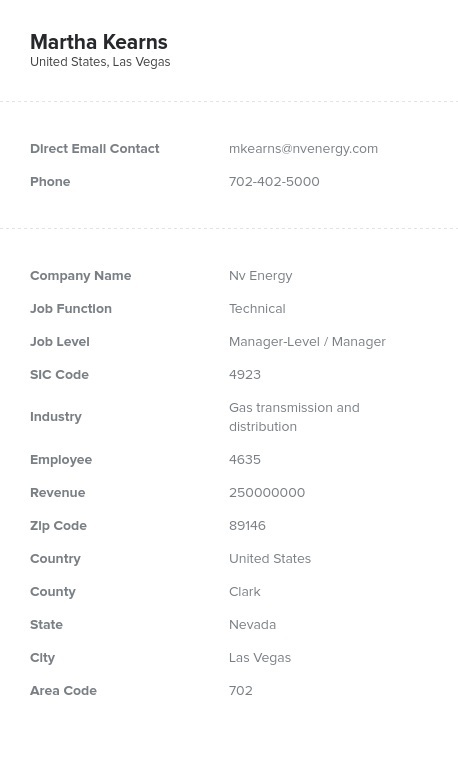 Look up technical managers, technicians, and the key staff of technical departments with this human-verified database from Bookyourdata.com. Find the right people for the right price online right now! Do you want to find the technical gurus of several organizations, look them up, and contact them within just a few minutes? You can do all of that with this ready-made, pre-built contact directory from Bookyourdata.com. This is one of our many pre-made email lists ready for you to download right away. Pull the key contacts of many different technology-focused groups into one accurate technical email database. Buy it today to build stronger business-to-business (B2B) relationships and market to the highly qualified group who may be most interested in your technological product or services. This premium directory contains those specifically working in technical or technology-related departments across companies, industries, and areas. Because it consolidates email leads into one easy-to-use and easy-to-integrate database, your B2B marketing campaign can be faster and more efficient. With this list, you can find the targeted, verified sales leads you need to succeed: emails, addresses, phone numbers, names, and more! Note that you can also customize your own technology email lists with our innovative list-builder tool to even further zero in on your target group. Help those in technical departments manage their work flow, design new products, serve other departments, or implement changes by telling them about your company and its products or services with our affordable technology mailing lists.